Exclusive interviews with top-level negotiators reveal how it became a reality. When groggy diplomats announced the successful completion of the Iran nuclear deal in Vienna on July 14, it ended one of the longest continuous negotiating processes in diplomatic history and produced what may be the longest (at 159 pages) and most complex international arms-control agreement ever. The final round of negotiations was one of the most heavily covered stories, other than major wars, in recent decades, with nearly 600 journalists accredited for the full 18 days of talks. But the real story of how the United States and Iran finally came to agreement in Vienna, known officially as the Joint Comprehensive Plan of Action (JCPOA), has yet to be told. Inevitably, the few public briefings, statements, and leaks to the media from the US side provided a politically convenient view of the state of negotiations rather than a reliable account of what was actually going on. Piecing together a reasonably complete account of the Vienna negotiations will take many years. The account that follows is an effort to provide at least a first approximation of how the two sides reached an agreement. It is based on a series of informal meetings in Vienna over two weeks with two Iranian officials close to the negotiations. They cannot be identified under the terms of those meetings, but they were both in a position to provide authoritative information on how the negotiations were unfolding, at least from the Iranian government’s perspective. Of course, some of what the two Iranian officials said about the negotiations reflected a desire to cast them in a light favorable to Iranian interests. Nevertheless, they provided crucial information about key turning points in the talks—information that did not serve any apparent Iranian tactical objective and yet was not reported in commercial news media. The two officials also provided valuable insight into Iranian calculations about the negotiations. The story that I have assembled includes several surprising revelations. It shows that in the first few days of negotiations, the most important and difficult issues were quickly resolved, in large part because of moves by the Obama administration to reconcile the interests of the two sides. But it also reveals that the administration hardened its line and even slowed progress in the final stage of the talks, mainly for domestic political reasons. The issue that mattered most to Tehran was the timing of the lifting of US and EU sanctions in relation to Iran’s implementation of its nuclear obligations in the agreement. The idea that the two sides had to carry out their respective obligations in a way that is “simultaneous and parallel” had been one of the principles on which Kerry and Zarif had agreed in their last marathon session in Lausanne on April 2, according to the Iranian official with whom I spoke. The biggest Iranian concern was that the United States would use old accusations of nuclear-weapons work as a pretext to keep the sanctions in place. In a June 23 speech, just before the start of the Vienna talks, Supreme Leader Khamenei referred to the “complicated formula” the US delegation had proposed on the timing of lifting of sanctions and complained that it would take too long. The main problem, he said, was that it would require Iran to wait for the IAEA to make a qualitative judgment about Iranian responses to allegations of Iranian nuclear-weapons work. The Iranians did not trust IAEA Director General Yukiya Amano—who had fully cooperated with the US diplomatic strategy on Iran—to deliver an assessment that would allow sanctions to be lifted any time soon. On June 29, however, the same Iranian official with whom I had spoken the previous day reported a breakthrough in the talks. “Last night there was something new on sanctions relief,” he said. “[The Americans] have come up with a concept so that [the lifting of sanctions and Iran’s nuclear steps] would be at the same time.” The proposal introduced the idea of distinguishing between a preparatory phase beginning with “adoption day”—in which both sides would make legal and other “preparations” for implementation of their respective obligations—and what was called the “operational” phase of implementation. The US proposal called the day when the United States and the European Union would lift their sanctions against Iran (which would also be the day Iran’s nuclear steps were to be officially verified by the IAEA) “implementation day.” That would allow Iran to say that the United States lifted sanctions on “implementation day.” But more importantly, as the official explained it, the United States and the European Union would provide legal guarantees regarding the lifting of sanctions months before, on “adoption day,” in the form of new EU legislation on lifting them and US presidential issuance of waivers on the sanctions, both of which would take effect on “implementation day.” Iranian negotiators viewed those legally binding US and EU commitments as “credible assurances” that sanctions would indeed be lifted when Iran had completed its nuclear-related steps, according to the Iranian official. The Iranian delegation accepted the basic plan presented by the US delegation, according to the official. But there were additional issues to be resolved. Although the Iranians believed that their own actions regarding their nuclear program could be completed within two or three months, they thought what the United States and the European Union would need to do to make the lifting of sanctions effective would take significantly longer. “They need to do some preparatory work to change the culture of sanctions,” the Iranian officials said. “They need to inform the companies. They can do it gradually over six months. What is important to us is to realize that sanctions lifting is not a process of one day.” But the Americans were still resisting. “They say we can’t do that,” said one of the officials. The Iranian delegation would press for specific language outlining those steps to educate businesses and financial institutions on the ending of sanctions. From then on, the negotiations on sanctions removal were confined to “operational details,” as an Iranian official told me on July 2. But the news media continued to report that the issue was still a sticking point for several more days. It wasn’t until July 4 that a major news outlet reported that a text on timing of sanctions relief had been completed. The US and European negotiators had treated resolution of this issue as a potential bargaining chip that could be used on other issues, according to the Iranian official I met on June 29. “They would say if you reduce this, reduce that, we will get a resolution of the PMD,” the official told me. But he said Iran had never agreed to any linkage requiring that it must wait for an official IAEA assessment on PMD before getting sanctions lifted. The Lausanne framework included language that Iran would carry out “an agreed set of measures” on the PMD issue, but those measures remained to be negotiated. In May, the United States had submitted to Iran a list of Iranian scientists and military men whom it wanted Iran to make available for interviews by the IAEA. On May 30, the secretary of Iran’s Supreme National Security Council, Ali Shamkhani, told Iranian television that his name was at the top of the list, which he said had 23 names on it. According to the Iranian official, the Americans demanded interviews with senior military figures because some of the scientists on the list had studied at Malek-Ashtar University of Technology, which has close ties to the military. “So the Americans considered the military should be interviewed, too,” he said. But Iranian negotiators rejected the US demand, according to Shamkhani. “We are not afraid to give access to people,” the official explained to me on June 29, “but we had a very bitter experience with the IAEA about our scientists.” He recalled that Iran had submitted a detailed paper to the IAEA in 2008 on the background of Iran’s exploding bridge-wire (EBW) program that he said had proved it was for road-building, rather than for nuclear weapons. The November 2011 IAEA report acknowledged that Iran had turned over that paper, but had not identified its co-authors. The official revealed that one of the co-authors of the paper was Darioush Rezai-Nejad, the young engineer who was killed in July 2011 as part of an assassination program that US officials have confirmed was overseen by Israel’s Mossad. Iran believed that the paper it had given to the IAEA had found its way into the hands of Israeli intelligence. “We can clarify issues, but not in a way that results in the death of our scientists,” the official said. By June 29, however, the United States was no longer insisting on that list of scientists and military men to be interviewed, according to the official. The Americans had offered to negotiate with Iran on a set of measures for resolving the issue involving a selected set of scientists and some sites that the IAEA would be allowed to visit. And, more important to the Iranians, the United States was prepared for the first time to agree to a deadline for the IAEA assessment, meaning that the issue would no longer be allowed to delay the lifting of sanctions. On June 30, the Iranian official who had just summarized the state of the negotiations the day before told me, “We did reach a decision on this with the Americans.” The key to the agreement, he revealed, was that Amano had agreed not only that his final assessment would be submitted by a date certain, but that it would reflect information from Iran rebutting the PMD accusations. “Now Amano’s assessment will be about establishing two reasonable narratives,” the official said. Five days later, the same official repeated the Iranian understanding that Amano would not reach “authoritative judgment” on the issue and that both sides would be represented, while Iran’s cooperation would be acknowledged. On July 2, Amano flew to Tehran and met with President Rouhani and Supreme National Security Council secretary Shamkhani. In Vienna on July 4, he emerged from the Palais Coburg to tell the news media, “With the cooperation from Iran, I think we can issue a report by the end of the year.” That announcement reflected negotiations that Amano had already held with Kerry and Iran’s Atomic Energy Agency chief and Vice President Ali Akbar Salehi on detailed requirements and a precise timeline for Iran’s cooperation and Amano’s response to it. Whether Iran and Amano had agreed explicitly on such an arrangement, the discussions with both Kerry and Amano had clearly led Iran to believe that its cooperation would result in a report by Amano that would be part of the process of lifting sanctions. 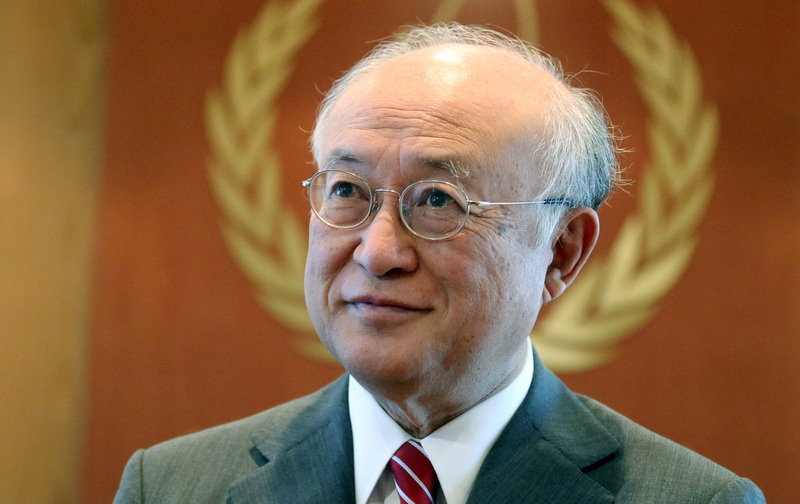 And the agreement between Amano and Salehi that was announced in conjunction with the completion of the overall agreement on July 14 is consistent with what the Iranian official told me more than two weeks earlier. Called “Road-map for the clarification of past and present outstanding issues regarding Iran’s nuclear program”—thus rejecting the IAEA’s “possible military dimensions” terminology—it established a timeline for resolving the issues raised in the annex to the IAEA’s November 2011 report: Iran was to turn over all information and documentation addressing IAEA concerns by August 15, and Amano would provide his final assessment by December, as he had indicated on July 4. Iran was ready to turn over information it had previously withheld from the IAEA because it had finally gotten a firm commitment to a deadline for ending the process once and for all. A separate “arrangement” on the issue of Parchin military facility, which is referred to in the “Road-map” but has not been made public, established the parameters for environmental sampling, photos, and videos to be taken at the massive complex that the IAEA has asked to see for three and a half years. An AP story published August 19 seemed to suggest that Iranians would carry out inspection of the site itself, without the IAEA’s presence, but as former senior IAEA official Tariq Rauf pointed out, there is no reason Iranian specialists could not carry out those functions under the supervision of IAEA inspectors in a position to verify its implementation. But that threat over the issue of IAEA access to undeclared sites was political theater to appease Obama’s domestic audience that obscured major progress in the negotiations. The Iranian official with whom I met on June 30 told me that a two-page agreement had already been reached on the procedures for IAEA access to Iranian sites. After the Lausanne framework, the media made frequent references to a public statement by Ali Khamenei on April 9, which rejected any inspection of military sites. Khamenei’s rejection apparently reflected sensitivity to possible demands to visit Iranian missile sites in order to gather intelligence for targeting purposes. A senior political figure who had recently met with Khamenei said he had recalled Iran’s dependence on missiles during the Iran-Iraq War as the reason for rejecting a demand by the IAEA to go wherever it wanted in Iran, according to the well-informed Najmeh Bozorgmehr of The Financial Times. In the weeks that followed Khamenei’s speech, the lead Iranian negotiator, Deputy Foreign Minister Abbas Araqchi, declared publicly that “Iran has agreed to grant managed access to military sites.” That term meant that Iran could impose limits on how the IAEA carried out its inspections to hide sensitive facilities or equipment unrelated to the inspection. The two pages on access in the final agreement show that Iran has the right to propose alternative means of resolving IAEA concerns about “undeclared nuclear materials and activities or activities inconsistent with the JCPOA” at a particular site. The Additional Protocol to the Nuclear Non-Proliferation Treaty—which Iran signed and implemented up to early 2006 but has not yet ratified—gives the IAEA complete access to declared nuclear sites but imposes limits on IAEA inspection of undeclared sites. The US threat regarding IAEA access to undeclared sites was political theater to appease Obama’s domestic audience. The final text of the JCPOA goes beyond that protocol, however, in providing that, if the IAEA still cannot verify the absence of undeclared materials or activities after the alternative has been tried, within two weeks the members of the Joint Commission (Iran, the P5+1, and the European Union) would “advise on the necessary means to resolve the IAEA’s concerns” by majority vote. Iran would implement that decision within three days. Even though that text had already been negotiated by June 29, the media (including PBS, CBS, Reuters, and Bloomberg) continued to report over the next week that IAEA “access” to sensitive sites remained a “sticking point,” although Reuters acknowledged on July 3 that a compromise was “emerging” on the issue. It was another case of the two sides being closer than Western diplomats were willing to acknowledge to the media. A US-Russian Deal on “Snapback”? Only one contentious issue remained to be negotiated after June 30: the new UN Security Council resolution that would have to be passed to replace a previous set of resolutions that had imposed a range of sanctions on Iran. Resolving that issue would of course require not only US involvement but that of the four other permanent members of the Council (the United Kingdom, France, Russia, and China) as well. But the US and Iranian delegations had already begun discussing it before the Vienna round. The United States wanted the new resolution to include a scheme that would allow the “snapback” of sanctions on Iran in case of Iranian violations even without a Security Council resolution, which would have meant that Russia could veto it. The US delegation was also demanding re-imposition of the conventional arms embargo and language that would continue to treat Iran’s ballistic-missile program as illicit. For the Obama administration, the embargo and ballistic-missile issues had suddenly become much more political, because of the major changes that had occurred in Middle Eastern politics. After King Salman succeeded to the throne in Saudi Arabia earlier this year, he presided over a much more aggressive political-military campaign to push back against what the Saudis described as Iran’s attempt to become regional hegemon. That Saudi strategy included bombing the Houthi rebels in Yemen (which Saudi Arabia alleged was receiving Iranian support); backing the anti-Assad military command led in part by the Nusra Front, the Al Qaeda affiliate in Syria; and pressing the Obama administration to become part of the regional anti-Iran strategy. In its eagerness to demonstrate its support for the Saudi-led anti-Iran bloc of Sunni Arabs, the White House made a series of political-diplomatic moves to support Saudi initiatives in Yemen and Syria and hardened its rhetoric on Iran’s role in the region. Pushing for re-imposing conventional-weapons and ballistic-missile sanctions against Iran in the new Security Council resolution was part of that larger Obama strategy of mollifying the Saudis. Iran was strongly opposed to the re-imposition of the arms embargo in the new resolution, but not because the language of previous resolutions limited Iran’s regional policy or the development of its missile program. “Security Council sanctions against Iran are not powerful or crippling,” an Iranian official explained to me in a meeting on July 9. “What makes them significant is that they create a political atmosphere for other pressures.” The Security Council sanctions, which were imposed in a series of resolutions beginning in 2006, had no discernible impact on Iran’s military posture, because Iran had long since become independent of the international arms market for its defense—and even for the development of its longer-range missiles. Nor had the arms embargo prevented Iran from providing weapons to its Hezbollah ally in Lebanon or to the Assad regime in Syria. A second issue in the Security Council resolution negotiations was potentially more serious. The United States was pushing for inclusion of a proposal that would allow a single state to charge that Iran had breached its commitments and set in motion the restoration of sanctions. The proposal provided that such a move could only be reversed by a decision of the Security Council, meaning that the United States could veto it. In his first meetings with Kerry in Vienna on June 27 and 28, according to the official, Foreign Minister Zarif had asked Kerry whether the objective of US policy was to get rid of sanctions or to keep them. He warned that there would be no agreement if Washington did not pull back from language that appeared to be aimed at keeping them. Kerry had promised to look into it and come up with a way to overcome the obstacles to progress, the official said. The Iranians had come to believe that Kerry was personally committed to getting an agreement, the official said. But it was also clear to them that serious differences existed within the Obama administration, not just on the nuclear negotiations but on US policy in the region as well. They viewed Kerry as being kept on a short leash in the negotiations, and regarded National Security Adviser Susan Rice, to whom Kerry was reporting frequently, as pushing a harder line on the Security Council sanctions and other issues. Nevertheless, the Iranians believed that the Obama administration needed to get an agreement by July 9. In a meeting on July 2, an Iranian official said the administration was concerned that if the agreement wasn’t reached by then, the Israeli lobby would have an extra 30 days to influence members of Congress to vote against the agreement. The Iranian negotiators also believed that the United States would not be able get a consensus within the P5+1 group in support of its position on sanctions in the Security Council resolution, because the Russians had made no secret that they were opposed to the US demands. 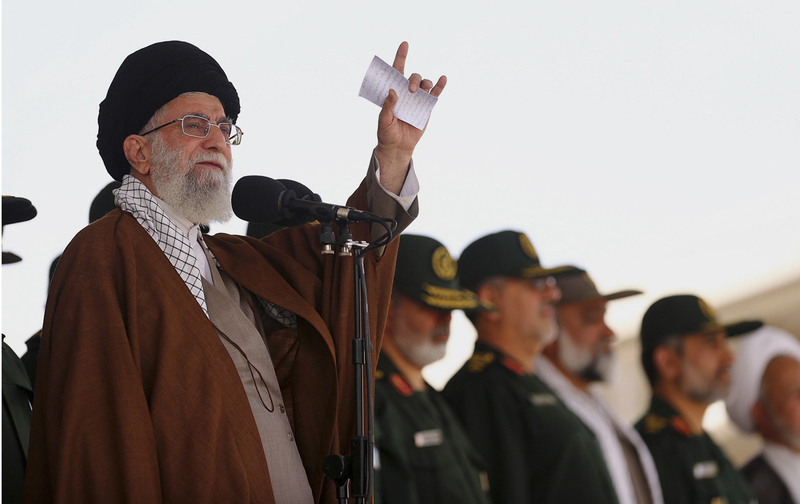 The Security Council sanctions actually had no discernible impact on Iran’s military posture. That night, at a private meeting with Zarif, Kerry presented a package of proposals from the P5+1 on the remaining issues, including the snapback of sanctions, to which Zarif objected strongly, according to an Iranian official I met on July 9. The following day, Zarif told a group of Iranian journalists off the record that he and Kerry had raised their voices until an aide to Kerry had opened the door to the room and said they had to lower their voices, because everyone could hear them. Zarif explained to the Iranian journalists, however, that his anger wasn’t real. At a certain stage in the negotiations, he said, he deliberately used body language and tone to influence the meeting. “Sometimes you are angry because you need to be angry,” he explained. The following day, July 7, White House spokesman Josh Earnest stepped up the pressure on Iran to accept proposals Zarif had rejected. “The president is ready to call the team home” if American objectives cannot be met, he said. During their Senate Armed Services Committee testimony that same day, the two top US military officials, Defense Secretary Ashton Carter and Chairman of the Joint Chiefs of Staff Gen. Martin Dempsey, effectively committed the administration to re-imposition of the arms embargo and missile sanctions. “Under no circumstances should we relieve pressure on Iran relative to ballistic-missile capabilities and arms trafficking,” Dempsey declared. The major issue that was decided during those two days of negotiations, however, was the US proposal regarding snapback, which was accepted as part of the text of the new Security Council resolution. An Iranian official with whom I met on July 9 acknowledged that the United States would merely have to make a complaint claiming Iran had seriously violated the agreement—and then, if necessary, veto a Security Council resolution extending the removal of sanctions—in order to achieve the snapback. The language of the new Security Council resolution, which was not released until July 20, confirmed that revelation. The crucial factor in that outcome was that Lavrov had gone along with the US proposal, despite the fact that it deprived Russia of its veto power on a very important geopolitical issue. The Iranian official revealed that the Russian foreign minister had sought to play down Moscow’s concession on snapback by suggesting that the United States would have to write an official report to the Security Council to justify its demand. The Iranians did not find that explanation persuasive, and they suspected that a side agreement had been reached between Kerry and Lavrov. “There are very few interests that are above the veto,” the Iranian official remarked. The Iranians were displeased by the Russian move, but believed in the end that they could not reject the entire agreement on account of that issue. Also, as an Iranian official observed in a conversation on July 5, the Iranians knew that Iran could respond to any US move to re-impose sanctions by carrying out Iran’s own “snapback”—that is, by reversing some of the reductions and restrictions in its enrichment program to which it agreed. As soon as Lavrov left town on July 6, the Obama administration and its negotiating partners began to slow the talks down. The Iranian official with whom I met on July 9 described a process that had begun the previous morning: “We negotiate with Americans, then they have to negotiate with their allies, and then they come back with something totally new.” The other two Western Security Council allies (the United Kingdom and France) suddenly had their own red lines on the remaining issues, he said. The result was that the United States spent very little time negotiating with Iran on the two crucial days before the July 9 midnight deadline. 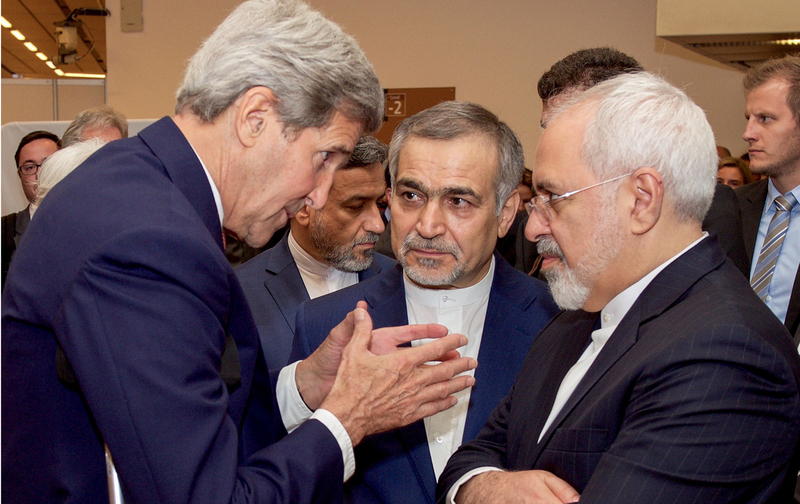 Kerry had spent only half an hour with Zarif on July 9, the Iranian official said. The Iranian delegation was convinced that the Obama administration had decided not to try to make the deadline, in order to fend off the accusation that Obama and Kerry were too ready to make concessions in order to beat that deadline. While Lavrov was attending a BRICS (Brazil, Russia, India, China, and South Africa) summit in Russia on July 8–10, he called for lifting the arms embargo on Iran “as soon as possible” and said, “We will support the choices that Iran’s negotiators make.” Upon his return, however, Lavrov agreed to a compromise on the conventional arms issue that the Iranians had hoped to avoid. It required that a state wishing to provide conventional arms to Iran must obtain advance approval from the Security Council on a “case-by-case basis” for a period of five years. That formulation effectively keeps an arms embargo in place for another five years. On the other hand, Iran could claim a minor victory on the issue of its ballistic-missile program. The language called on Iran “not to undertake any activity related to ballistic missiles designed to be capable of delivering nuclear weapons” for a period of eight years, or until the IAEA submits a report declaring Tehran’s nuclear program entirely peaceful. But Iran could rightly point out that the provision ended what had been a meaningless ban, because its ballistic missiles were not designed for nuclear weapons. This account of the final round of negotiations highlights the fact that the issues remaining to be resolved in Vienna were far less significant than the Obama administration had publicly suggested. In fact, it indicates that they were turned into political issues by the Israel lobby and Congressional Republicans. The Obama administration’s adoption of a tough posture on all three issues decided in the first few days of the round—the timing of sanctions lifting, the “possible military dimensions” issue, and the issue of access to Iranian military sites—obscured the reality that it knew all of them were in the process of being resolved, if not already resolved. And the terms of access for the IAEA had become such a hot-button issue in US domestic politics that Obama decided to score additional points by issuing a stern warning to Iran, even though Washington and Iran had already reached agreement on it. The final set of issues, the ones related to Security Council resolutions on the snapback of sanctions and on an arms embargo and the Iranian missile program, were also far more important in terms of domestic US politics than they were in regard to their impact on Iran’s compliance regarding its nuclear obligations or on the regional geopolitics. Iranian compliance was not dependent on unilateral US power to trigger the snapback of sanctions, but insisting on that mechanism was deemed necessary to the administration’s domestic political strategy. And the continuation of the arms embargo and of language accusing Iran of having a missile program intended for delivery of nuclear weapons had no practical impact on Iranian policy. For all the high drama surrounding the supposedly difficult negotiations on these issues, for the Obama administration, the struggle in Vienna was more with domestic political foes of the agreement than with Iran.